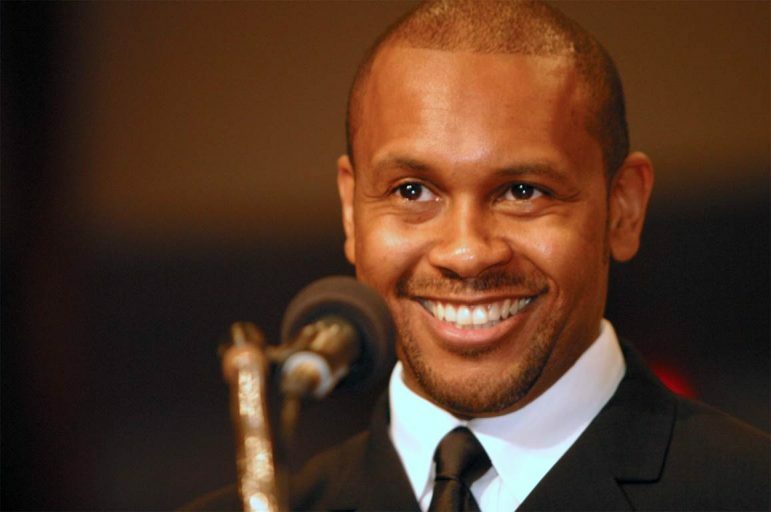 Last December, New York-based activist and author Kevin Powell was found guilty of defamation of character in a Minnesota courtroom. In November 2017, he sent an open letter in response to a hate-filled email his wife Jinah Parker had received from an April Sellers the month prior. In a case of mistaken identity, he blasted a Twin Cities dancer instead of the Ohio-based writer. Now, he’s faced with a $210K judgment. While he says he doesn’t have that kind of money (he plans on appealing the case), even more concerning for him is a slate of racist messages he says he has received since the case was covered by local outlets — including the Star Tribune and City Pages. Powell, who has turned down other media requests, reached out to the MSR to share his take on the controversy. An excerpt of the conversation appears below. MSR: As a public figure, I’m sure you often receive criticism. Why did you feel the need to respond to the initial email? Kevin Powell: This situation put me in an emotional place I’d never been before. Someone was attacking my wife of only four months at the time, frightening her, and using me to do it. I, we, are both very sorry for any pain and embarrassment we caused April Sellers [of Minnesota] and are willing to do this publicly. But, the story being told now is positioned to gain a financial settlement we are unable to pay. MSR: How did this end up in court? KP: The chronology of events needs to be clear, as it has been continuously distorted, in court and by some media. First, an ugly and hate-filled email was sent to Jinah the weekend of Oct. 20, 2017. It attacked Jinah, it attacked me, it attacked Jinah’s work, SHE, a Choreoplay, and it attacked our marriage. It came from someone named April Sellers. We waited two weeks to respond, and only because whoever April Sellers was also happened to post the original hate email to Facebook (a space with one billion people), and only after speaking with Rohan Preston of the Star Tribune, my colleague of 25 years or so, who said the email sounded like something April Sellers in Minnesota would send, because he knew her and had observed her over the course of years. Between my conversation with Mr. Preston and the research we did at the time, April Sellers in Minnesota was the only name who continually came up. We thought we had the right person. Why would someone [who was] not a dancer or choreographer, we thought at the time, send such an email? Second, we sent the open letter Sat., Nov. 4, with my BCCing [blind copy emailing] it to about 35 people, none of whom ever responded in any form. The April Sellers in Minnesota responded that day, and again perhaps a week later. And, like the first April Sellers’ email, this April Sellers posted to Facebook, a public forum. The next time we heard anything was in late December 2017, from Sellers’ lawyer Aaron Scott, saying we were being sued for over $500,000. There was no offer by April Sellers’ lawyer to make an apology publicly, no offer to make a public retraction, nothing. Just a demand for money. MSR: When did you discover you had the wrong April Sellers? KP: It was not until June 2018, around the time of our depositions in New York City, that we were finally told there was a different April Sellers [who is Black], based in Ohio, who signed an affidavit saying she was the person who sent the hate-filled email in October. MSR: But you didn’t apologize or retract your original message at that time? KP: From June 2018 to right before the trial in December 2018, we offered several times an apology and a retraction, and every single time her attorney rejected it, saying money had to be attached, as much as $200,000-$300,000. Even moments before the trial begun, Scott and Sellers rejected an offer to accept an apology. So, it is patently false to say that this could have been remedied from the beginning with a simple apology. The lawyer never asked for one; he asked for money. MSR: Why did you refuse to share your side of the story with other media outlets that reached out to you? KP: We chose not to respond to either [Star Tribune and City Pages] publication’s inquiry for an interview because of how traumatized we were and are by the entire Minnesota experience, and because I wanted to do an interview where I felt we could say very clearly and chronologically what happened. The whole truth, not fragments of the truth, as both these newspapers reported, or was done by the other side during the trial. Plus, the Star Tribune and City Pages are owned by the same company, and one of their writers, Preston, actually testified against my wife and me at the trial. Yet here these publications are writing articles about the trial. The journalistic integrity and objectivity are simply not even there. Both writers from each publication barely were at the trial, yet they write articles about the whole thing? Instead, my wife and I, because of those very biased articles, have been ruthlessly harassed with racist and sexist and hateful people, pretty much all White sisters and brothers, attacking us via email, on Facebook, on Instagram. MSR: What kind of messages are you receiving? KP: The same kinds of messages I have gotten since my days on MTV, and in these times, whenever I appear on CNN or Fox News Channel. They are messages calling us names, cursing us out, mocking us, you name it. The theme is always the same: hate. The ugliness of the messages my wife and I have received since the trial is far worse and far more racist than anything I have ever experienced in the American South, either directly in person or via social media or email. They are using the same exact language and the same exact tactics people like me have experienced for many, many years: yelling, screaming, bullying, mocking, cursing, belittling, and taking all kinds of liberties with fact and fiction. They see this situation with April Sellers, thanks to the two Minnesota newspaper articles, as a huge window through which to unleash their anger and hatred. No matter how you slice it, there is forever a racial overtone throughout this. This whole thing began with an ugly and hate-filled email to my wife, and here we are all these months later, my wife and I, getting hate-filled emails and social media messages. MSR: How do you plan on moving forward from this? KP: There are no real winners here in any form, not even close. We all lose when things like this are allowed to fester and rot, instead of what we really need, healing and honest dialogue where people are talking with each other, not at each other. So the question also begs itself now, for us: Where is the apology to us for being dragged through this for a year, for the thousands of dollars we had to spend, borrow, raise, simply to deal with this? And where is the apology to us for having our reputations slandered and smeared over and over again? Yes, we greatly empathize with April Sellers of Minnesota. We would love to apologize to her directly, but two wrongs do not make things right. The lawsuit and dragging us through an absolutely unnecessary trial were completely wrong and inhumane. As is what we have had to deal with, all the relentless and racist trolls, because of the articles in the Star Tribune and City Pages since the trial. MSR: What do you feel that people should know that hasn’t been made public about this case? KP: 2018 was the single worst year of my entire life, and my wife would say the same. This entire matter led to both of us having health issues from the stress, me a bladder issue and my wife an outbreak of shingles and two hospital visits just before the December 2018 trial. As I said during the trial, there is a huge difference between being a public figure and being famous. Aaron Scott, the lawyer for April Sellers, looked up my name, saw MTV’s The Real World, which was made in 1992 and of which the seven cast members received a grand total of $2000 or so, and no royalties of any kind since. Scott also saw my books and writings and various speaking engagements and made a very terrible assumption of wealth. In the era of social media, short attention spans, and click-bait headlines, this is what happens to people, and then they alone have to navigate through the madness of it all. Isn’t there any possible way Powell can sue for harassment, pain and suffering? Has he even conferred with his attorney (if he has one)? Powell received a taste of the passive-aggressive experiences blacks in Minnesota and throughout the Upper Midwest experience on a daily basis, masked “Minnesota Nice”/”Aww Shucks” behavior that allows whites to justify their barbarous behavior towards blacks under the veneer of liberalism/progressivism/moderation. The white masses aren’t our “brothers and sisters”, so he needs to acknowledge his experiences wholly and truthfully, and not allow white supremacy an out. Quite frankly, I assume some of those racist letter writers had “I’m With Her” bumper stickers on their vehicles in 2016! CHARACTER ASSASSINATION against people of color in the media is very very REAL: as both a journalist & activist I;’ve challenged it when it inevitably is used against survivors & victims of Police Violence. But, in this case it’s POWELL who engaged in Character Assassination–and is continuing to do it. “MISTAKEN IDENITY” is also a real thing in journalism—I made an honest mistake some years ago that could have done great damage to a beloved public figure in the Twin Cities. As soon as the mistake was brought to my attention, I persuaded my editor to let me do a significant story (NOT just a “correction box”) to address my mistake and CLEAR THE REPUTATION of the person I had (inadvertently wronged–had trusted sources in that situation who were also mistaken). Luckily, I was even able to do an in-depth interview with the person—who said it was obvious I had NO malicious intent. Sad to say that these basic ETHICS of journalism (and life) do NOT seem to be present with kevin Powell. He’s even done this 9at least) once before: sued a film company over their (fair sue) of facts from published interviews about TUPAC SHAKUR for a film on the artist; when that didn’t get Powell money he switched history tosay that he’d “made up big parts of the interview—so, it was actually FICITON & the company he owed him money for that! :” Powell lost that case,too. It seems reasonable to conclude that Kevin Powell’s credibility is very thin, at best. HE WAS CLEARLY IN THE WRONG HERE—yet, still refuses to own that. I hope no legitabmate news organization will hire him for journalism. He should stick to music reviews—where OPINIONS but, NOT facts are all that’s wanted.